Neither furious reading of ebooks nor highlighting courses at the local community college were involved in the pursuit of this skill. Necessity called for the crash course and the invaluable knowledge of my uncle. While plumbing was not on my prioritized list of skills to learn, I will no less leap at the opportunity to gain practical knowledge especially with a good teacher. A well exists on the farm but there was a freezing related broken pipe right at the well itself. 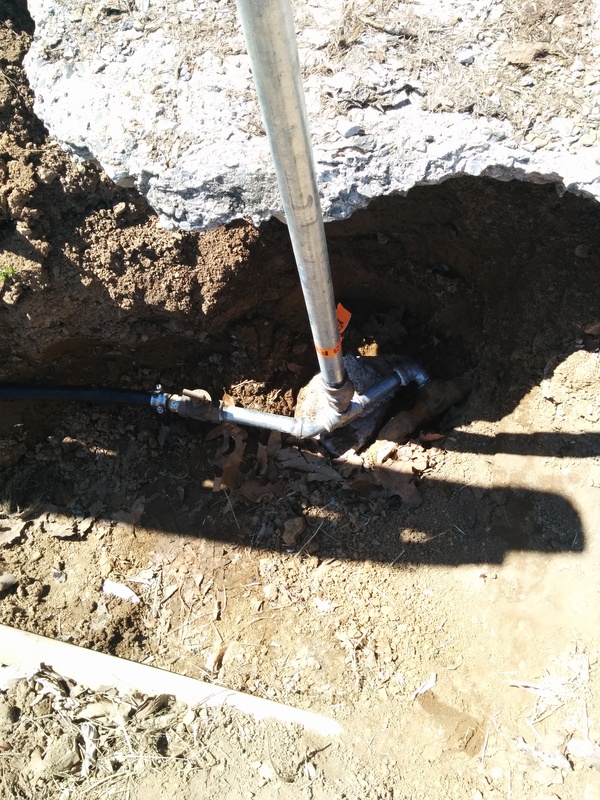 Additionally, there was an rusted out fitting at the hydrant where the access point for water lies. Despite efforts to capture rainwater, having a working well will bring on easy sleep when considering the living animals and a garden on the farm. Above is what we were working with. 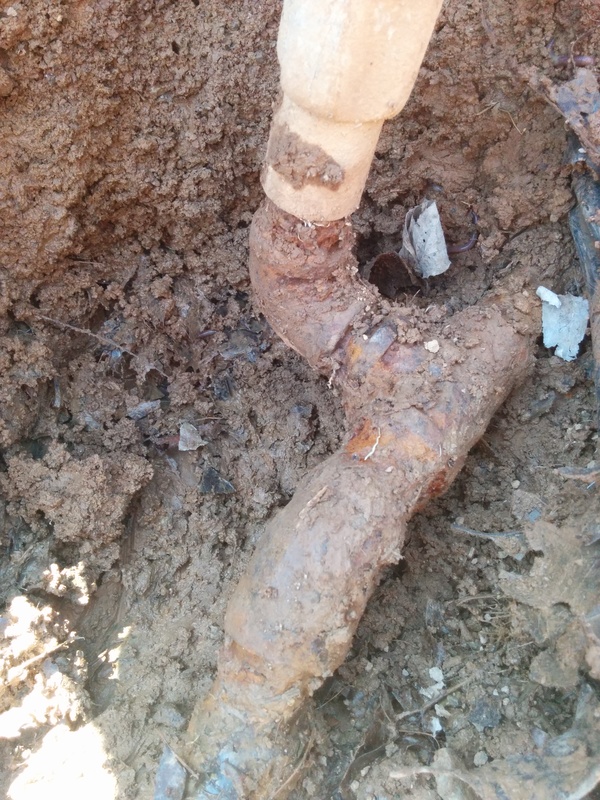 A old glass coke bottle found while excavating the dirt from the base of the hydrant could likely be used to date the age of the plumbing. 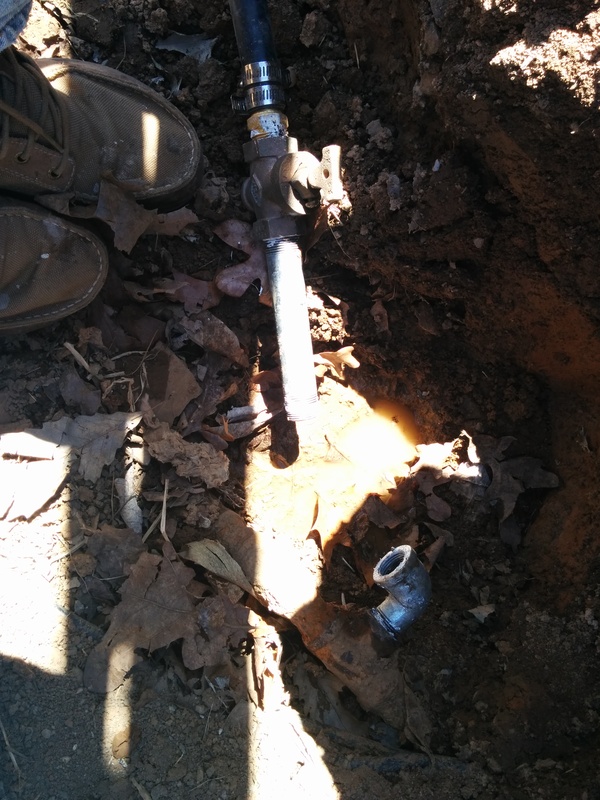 When removing the old leaking fittings, the galvanized pipe disintegrated leaving only the threaded part remaining stubbornly in the needed pipe fitting. Great, there is no way I will have water any time soon! My uncle is the closest person I have met to MacGyver. 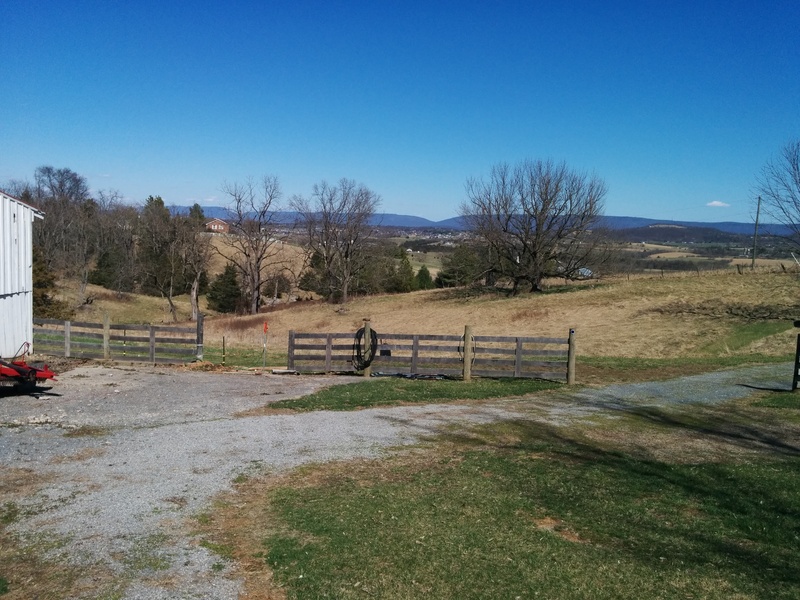 Scavenging a hack saw blade from the scant tool collection on the farm, he clamped the blade in a pair of vice grip pliers. Carefully feeding the improvised blade into the 3/4 inch elbow, he slowly sawed through the remnant of the disintegrated fitting releasing it. We are back in business! From here I learned the intricacies of plumbing. 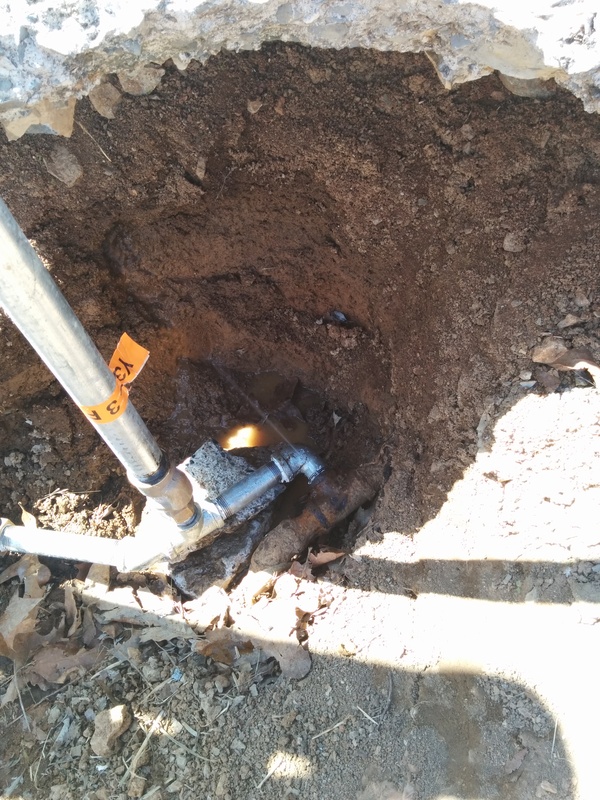 Each fitting needs to be prioritized so the tightening of the subsequent pieces will not place too much stress on the system or turn the rest of the plumbing beyond its needed position. Lots of opposing wrenches were used, one to hold installed fittings, and one to tighten the latest fitting. In fact, this was the first time I ever used a pipe wrench except for an interactive murder mystery theatrical show I attended in college. 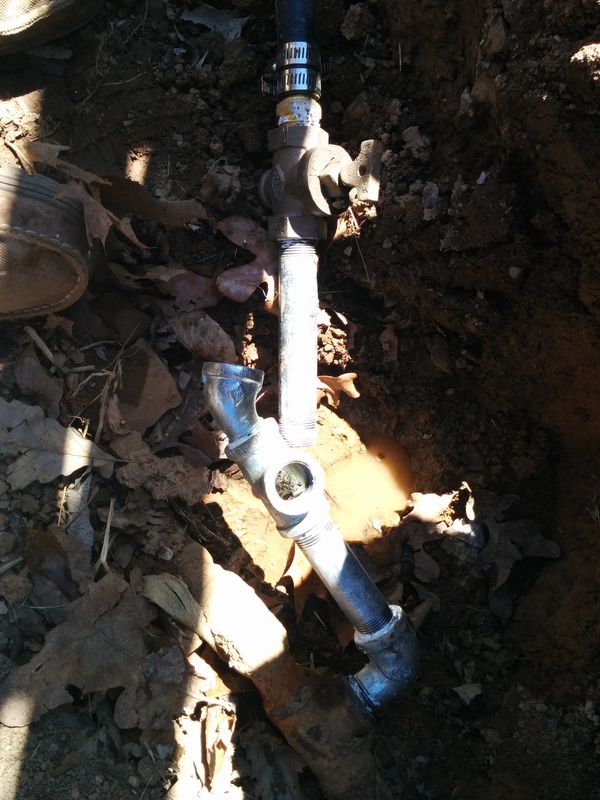 Building the new plumbing system is demonstrated in the series of images below. Note, the black line also means my temporary cabin now has running water! Over tightening can bust the fitting, especially brass compared to galvanized steel. I learned quite a bit about plumbing. While I couldn’t design a new system on my own, I’m now comfortable with repairs and general plumbing knowledge. Here is the new hydrant in all of its glory!